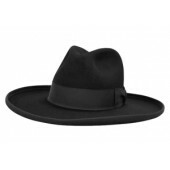 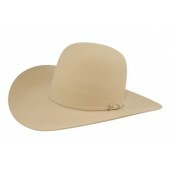 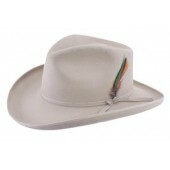 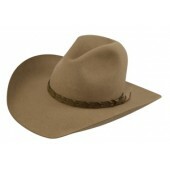 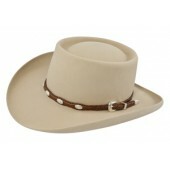 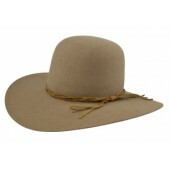 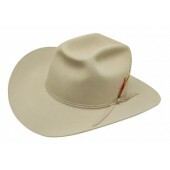 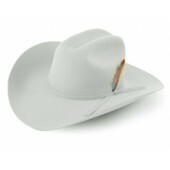 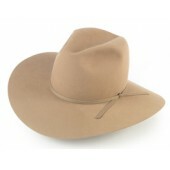 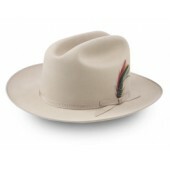 The history of the western felt hat is not that old. 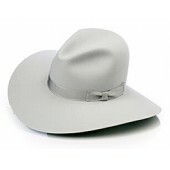 Before the invention of the cowboy hat by John B. Stetson, the cowpunchers of the plains wore castoffs of previous lives and vocations. 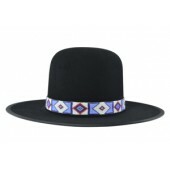 Formal top hats and derbies, leftover remnants of Civil War headgear, tams, and sailor hats, were all worn by men moving westward. 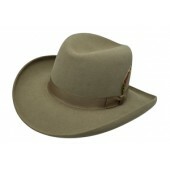 The hat on the right worn by a Confederate soldier, is similar to a standard US army hat, prior to the Civil War. Hats were made of black felt and usually trimmed with a black ostrich feather for enlisted men, and a cord terminating in two tassels. 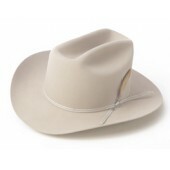 The brim was looped on the left side, and the feather worn on the side opposite the loop.